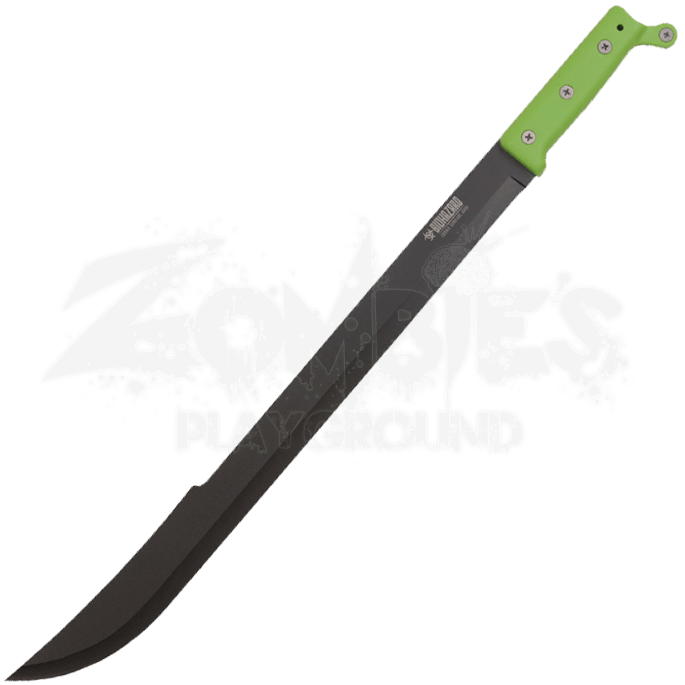 Powerful and efficient blades such as the Green Biohazard Bush Machete see the modern survivalist through the toughest situations. 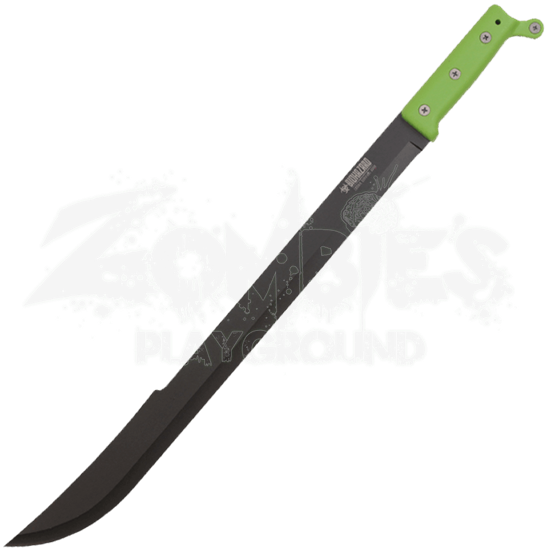 Master the great outdoors and keep the undead horde in check with this all-purpose tool in hand. This modern, stylized take on the classic Latin machete blends right in with a dystopian setting. A black finish covers the stainless steel blade while neon green plastic forms the grip. The long cutout that follows the spine contributes to the lightweight and balance of the blade. A full tang enhances its strength. The knob at the end of the handle assists in preventing slippage. A black nylon sheath is included, ensuring that this helpful survival tool stays within easy reach.